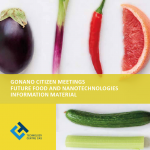 These brochures were made as background material to prepare the citizen workshops of the three pilots: health, energy and food. 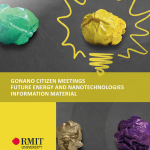 They contain basic information about nanotechnologies and the needs, concerns and values related to possible future applications of nanotechnology. 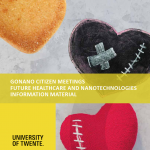 The aim of the workshop with the citizens is to examine future visions of concrete nanotechnology products in use and to discover needs, conflicts of values and concerns regarding those products. The workshops take place in the Netherlands, Spain and the Czech Republic.